Your Oriental rug or custom floor covering is a big investment. Like any other major investment, a quality rug needs regular maintenance and care to maintain its value. Who will you trust in Davis to clean your Oriental and custom rugs? Rytina Fine Cleaners, Allied Custom Upholsterers and the area’s best interior designers refer their clients to Artistic Associates for full-service cleaning and maintenance of rugs and flooring. Unfortunately, there are many ways that inexperienced cleaners ruin Oriental rugs. Dyes made from vegetables, minerals or even crushed insects easily bleed. Hot water cleaning that successfully treats synthetic carpets quickly damages wool rugs. You do not want to discover the hard way that ordinary carpet cleaning companies are seldom qualified to repair Oriental rugs. They may be insured to replace your favorite floor piece, but you just want to clean it! At Artistic Associates we apply more than forty years of experience with Oriental and custom rugs with specific training from the Institute for Inspection, Cleaning and Restoration to every job we undertake. Our careful procedures, skilled technicians and professional facilities are the best guarantee that your Oriental and custom rug will again be beautiful. Nevertheless, for your peace of mind, Artistic Associates is also fully insured and bonded. Artistic Associates refurbishes your silk, wool and traditional Oriental rugs in our own custom-designed facilities. Your rug is treated by hand, not by machines, and returns to you in the best condition possible. Your heirloom rug will be in our care every step of the way, not with an unknown subcontractor. Artistic Associates’ eight-step area rug cleaning process is carefully designed for custom-made rugs. Heirlooms deserve careful maintenance. Our time tested procedures provide the qualified care you deserve. Our experience enables us to repair damage from water, stains,pet urine, moths and insects. Artistic Associates also supplies custom-fit underlayments, an essential part for protecting your area rug. Select the rug cleaning service that clients in Davis trust! 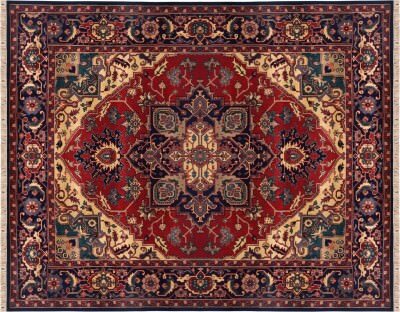 Superior education, professional facilities and straightforward pricing guarantee that the maintenance and repair of your Oriental rugs will be a pleasant experience. Discover the skill and integrity of Artistic Associates! Our clients in Davis, California contact us at 916.483.7400.